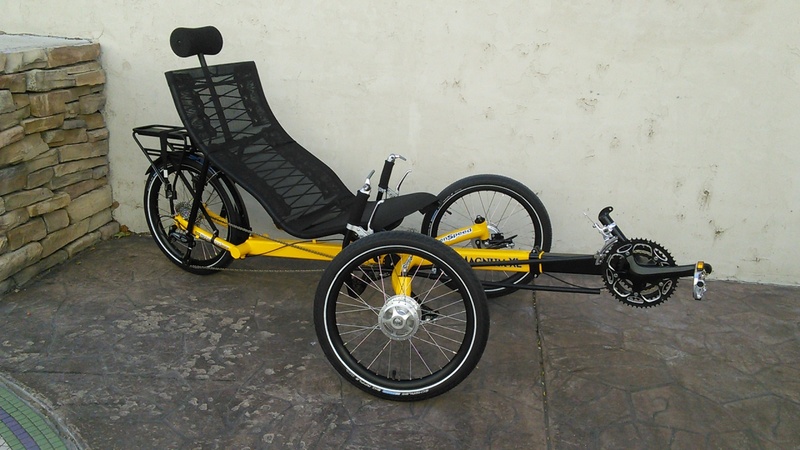 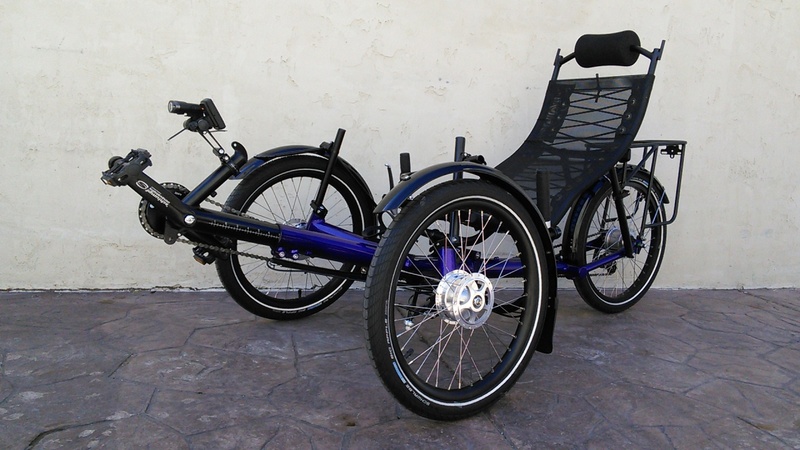 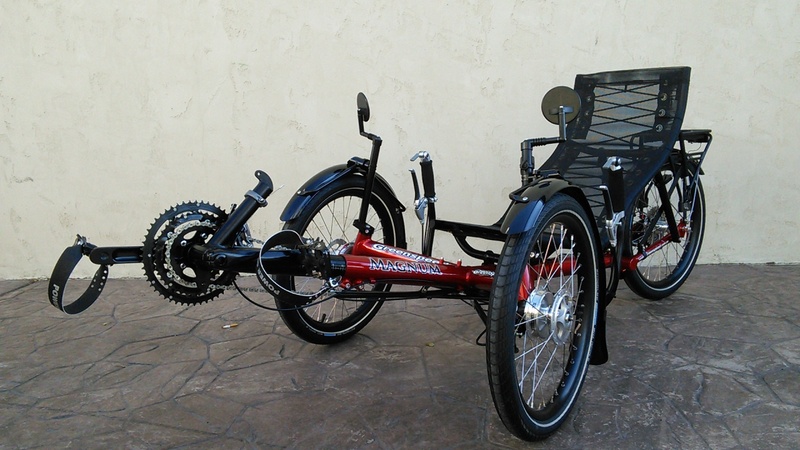 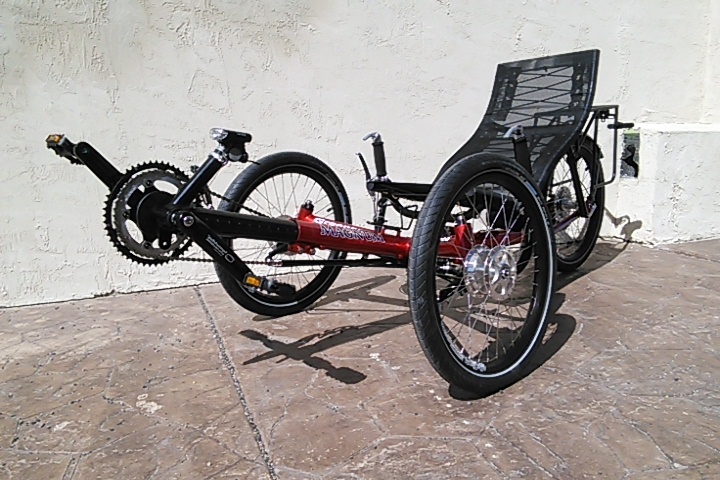 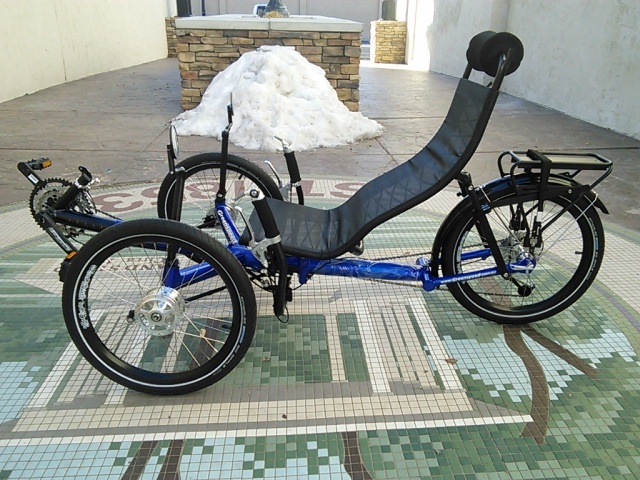 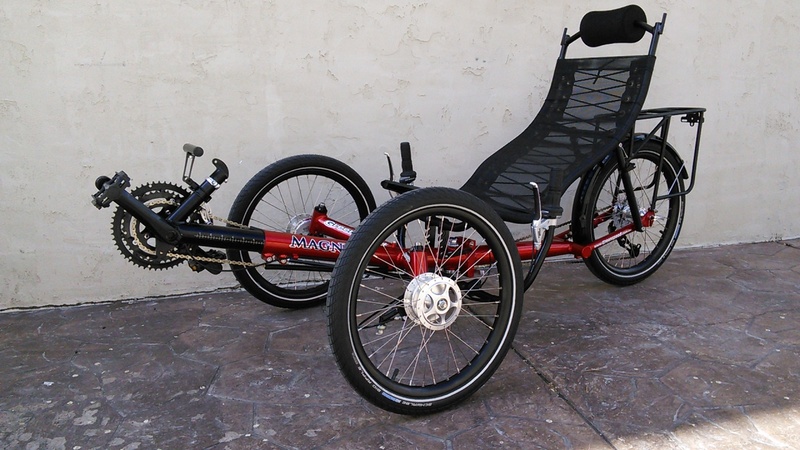 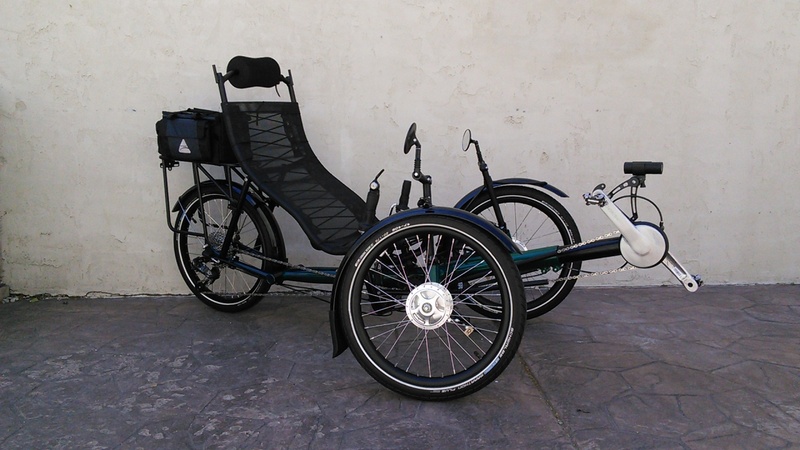 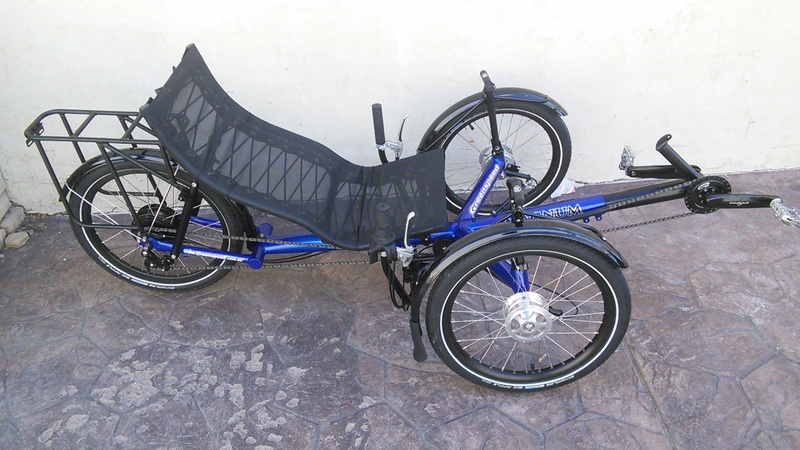 The Greenspeed Magnum is the only folding recumbent trike we've found with an adjustable seat height. 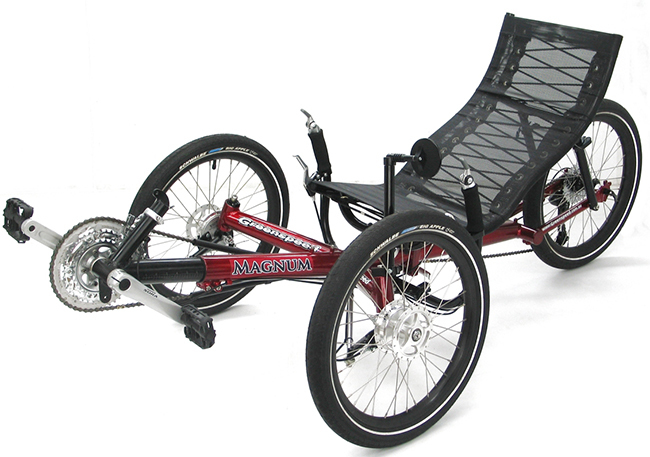 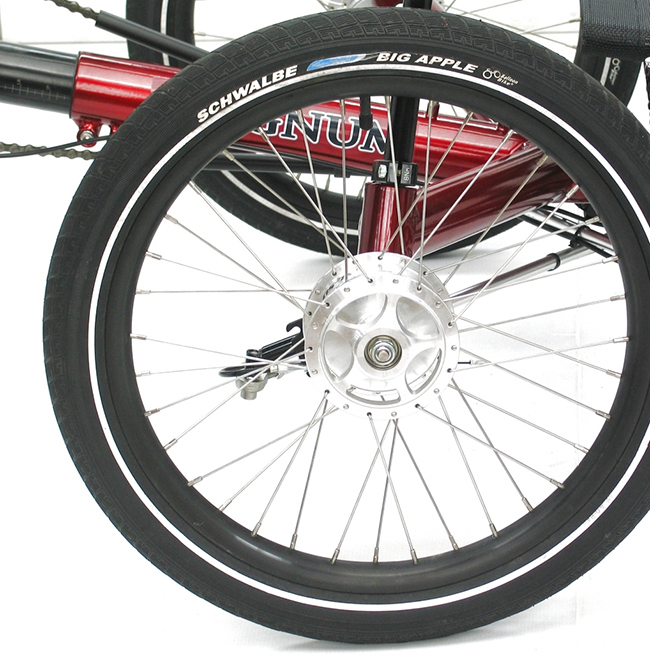 The Magnum is a folding trike made for the bigger rider, or riders that just want a high seat and ease of transport. 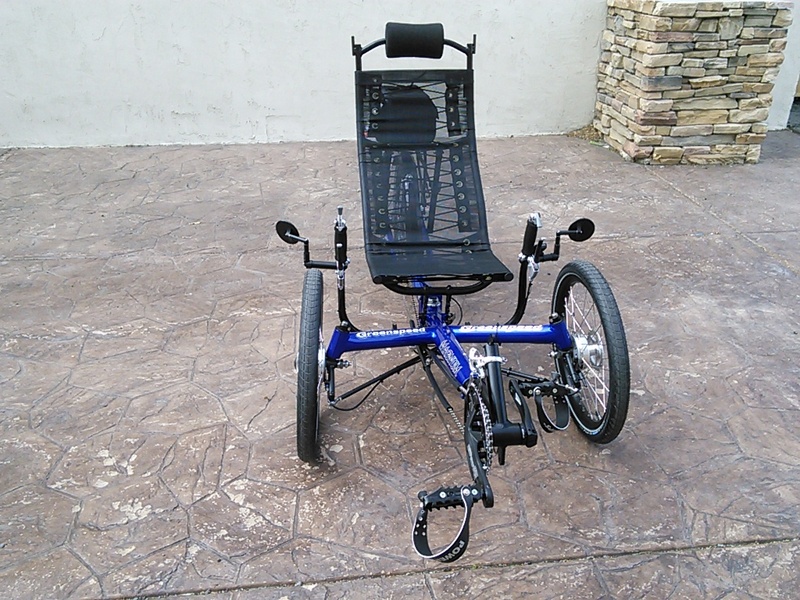 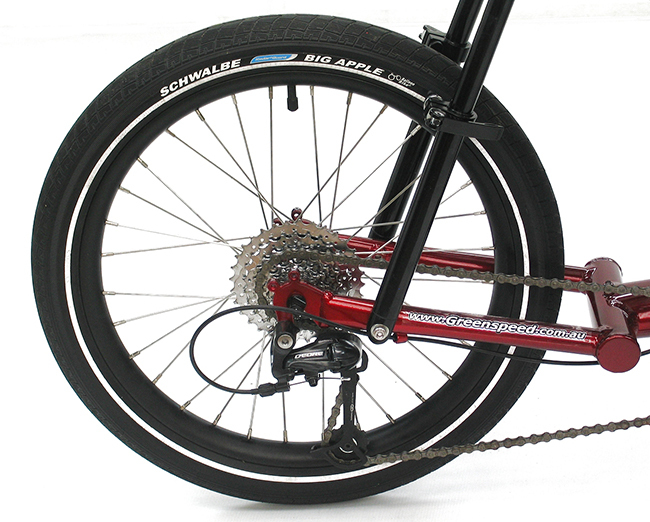 All three wheels have quick releases on them with the front wheels requiring only the push of a button to easily remove them.